The first meal my husband ever made me was a chicken curry. I had never tasted anything so delicious in my life”. This is one of the quotes of British actress Lesley Nicol. I went around asking different residents in Mbale about their cousins and most of them sauce without curry powder is lacking in taste. “One day mummy prepared chicken without curry powder. I love chicken but that day I left the whole of it on the plate,” one of the residents told me. We enjoy curry powder but not many of us ever think about what is made of. We are also unaware that we can become millionaires by growing spices that are used in the production of curry powder. Spices are among the most marketable products in Uganda. The market is readily available both in the manufacturing industries and within the local consumers. Last year during an interview with this newspaper, William Kwezi, the Managing Director of Nkuruba Integrated Agricultural Development Services said that Manufacturing industries in Uganda spend over UGX 28bn on importing spices. RESSKIM Cross Border Trade Consortium carried out a research and found out that Spice growing can be favored by Uganda’s climatic conditions and the official launch was held at Kayindu Parish, Kalagala sub-county in Luweero district on Friday July 20, 2018. The major spices that are used in the manufacturing of curry powder are currently imported from Ethiopia, Nigeria, China and India and these are turmeric, ginger, coriander, cumin, funnel Greek, garlic, funnel seeds and cardamom. During the launch the major districts that were named to be the best at growing spices are Luweero, Hoima, Kasese, Nakasongola, Masindi, Fort portal and Kamuli which left people of Mbale and the neighboring districts with their hands on the jaws because of being left out. Baganda say that zikusoka nezitakuva nyuma, meaning its better for bad days to come before good ones, smiles were seen on the faces of residents who attended a workshop last week that was organized by Kaketo commercial farm about Ginger growing at the district headquarters in Mbale. Farmers, who had moved long distances from the mountains, were told during the workshop that Mbale soils were good ginger growing. Ginger is one of the ingredients that are needed in the production of curry powder that is consumed worldwide. 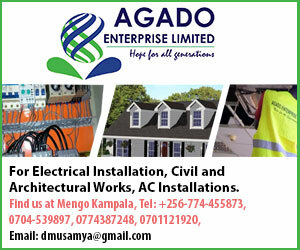 This makes its market widely available both in and outside Uganda. 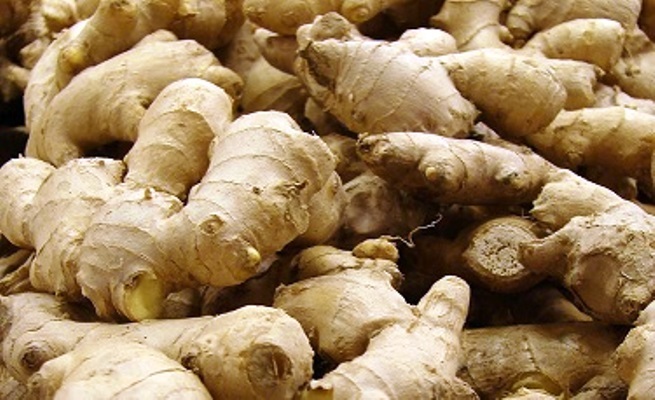 Ginger (Entangawuzi) prefers mildly acidic soils and it grows between 3-6 months. Currently a kilo of ginger cost between UGX 8000 and UGX 10000. Faizal Kaketo the Managing Director of Kaketo commercial farm said that they are ready to buy off any ginger that is ready. “Our main farm is found in Butambala. We have moved this country teaching people about ginger growing. We provide ready market,” he said. According to Kaketo, an acre of land takes four sacks of seeds which cost UGX 750, 000 each, equaling to ugx3m. The farmer then applies composite for example cow dung and coffee husks. A sack of coffee husks costs between UGX 7,000 and UGX 10,000. Kaketo adds that in an acre one may invest about UGX 8m and harvest between 100-150 sacks of ginger in a single season. “At six-eight months we buy one sack at UGX 350,000. When you get 100 sacks that is UGX 35m,” he said. Kaketo said that ginger can grow anywhere so long as there is rain. “Ginger loves rain so much so long as a farmer gives it time and does not allow weeds to grow in it, “ he said. There are two common varieties in Uganda: The landrace with small rhizomes and the hybrid with big rhizomes. Ginger has a wider adaptability for different soils, and for higher yields the soil should be loose, friable and offer minimum resistance to rhizome development. Like most plants, ginger prefers mildly acidic soils. Ginger is propagated vegetatively from rhizome. Usually seed rhizomes with sprouts or buds are used in planting. To prepare seeds for planting, you cut the rhizomes into pieces of 2.5-3.7cm with one eye or more. Ginger planting should be done late in the dry season or early in the wet season in tropical countries like Uganda. Make sure you select a spot where the plants get plenty of light but not direct sun, and protection from wind. Application of well rotten cow dung or compost at 5-6 tones per hectare may be made as a basal dose while planting the rhizome in the pits. Coffee husks are also good fertilizers for the ginger crop. An acre can take about 3 to 6 Lorries. The husks can be applied before planting. They are spread out evenly in the whole field and then covered with soils. Phosphate is also another good fertilizer; an acre requires a supply of about 50kg. These are mixed in the soils at planting.